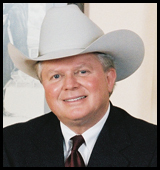 James "Jim" Lane has practiced law for almost 40 years representing people with a wide range of legal issues and problems. He has served as a Captain in the U.S. Army as a military JAGC officer, and to this day, he brings years of experience in defending our military men and women when faced with court martial. The Law Office of Jim Lane also represents clients in a wide range of other legal matters, which include criminal defense, FAA enforcement, and personal injury cases. With regard to criminal defense, Jim Lane has defended a host of felony and misdemeanor criminal charges in both State and Federal courts. He defends the average person, and civil servants, such as police officers and firemen. Aside from his years spent as a Captain in the Army's Judge Advocate General Corp (JAGC), Jim Lane continues to help the members of the Army, Air Force, Navy, and Marines when faced with military court martial. As a pilot, he brings a solid understanding of the FAA regulations and rules when other pilots are facing FAA enforcement actions, such as when a pilot breaks clearance rules. He currently serves as the Aircraft Owners and Pilots Association's Legal Plan Attorney. His personal injury experience is vast, and includes representing persons injured in plane crashes and others that have suffered injury from the negligence of others. If you would like to speak with Jim Lane, please feel free to give him a call or send him a message.